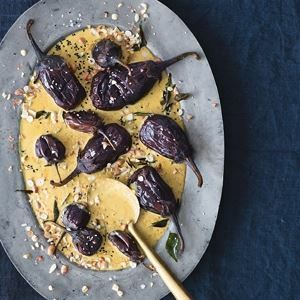 Roasted aubergines slathered in a peanut, sesame and coconut curry is one of my most popular party dishes, and it's no surprise why. This regal dish is most closely associated with the Hyderabadi Nizams, the Mughal administrators who declared their independence as the Empire crumbled. Without their rebellion we may have never experienced the tantalising Hyderabadi cuisine. 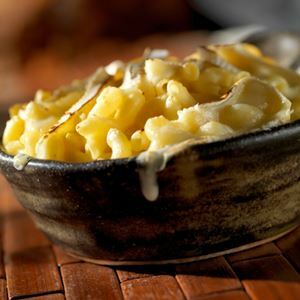 Baghare means ‘tempered', so the name of the recipe actually refers to the spice tempering. Despite the long list of ingredients, this is actually a very simple recipe using storecupboard basics: tinned coconut milk, peanut butter and tahini. Serve with flatbreads for scooping up the curry. First soak the aubergines in a large bowl of cold salted water for at least 1 hour. Pre-heat the oven to 200°C/Fan 180°C/Gas 6 and line a baking tray with baking parchment. Drain the aubergines and pat dry with kitchen paper. 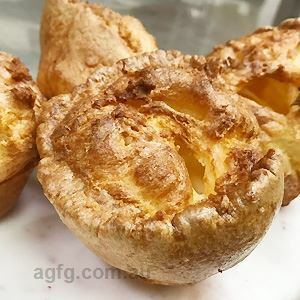 Make slits in them, keeping the tops intact, and roast on the tray for 20 minutes. Meanwhile, temper the spices. 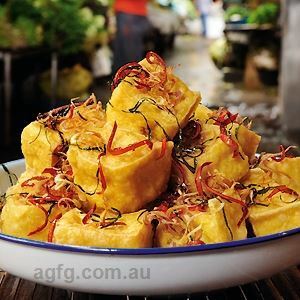 Pour the oil into a wok or heavy-based pan and place over a medium-high heat. When it’s hot, toss in the seeds and the curry leaves. As they sizzle up, add the onion and cook for 5 minutes, stirring to coat in the spices. Then add the ginger, garlic and green chillies and cook for another 5 minutes. Now add the coriander, chilli powder and turmeric and stir well for a couple of minutes. If the spice mixture starts getting stuck to the bottom of the pan, add a few tablespoons of hot water and scrape it off. If your peanut butter is a little stiff, give it a mix with some of the coconut milk in a hand blender before adding it to the pan, along with the rest of the coconut milk and the tahini. Cook for 5 minutes at a high simmer, then stir in the tamarind paste and add salt to taste. 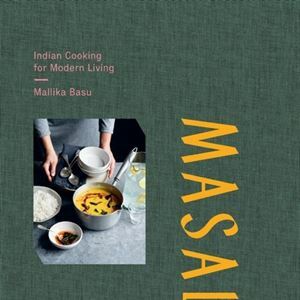 Credits: Masala by Mallika Basu is published by Bloomsbury ($45.00) Out now! Photo Credits: Masala by Mallika Basu is published by Bloomsbury ($45.00) Out now!